“Black Legend”, the new video from MIKE LEPOND’S SILENT ASSASSINS, can be seen below. The track is taken from the band’s latest album, “Pawn And Prophecy”, which was released on January 26 via Frontiers Music Srl. 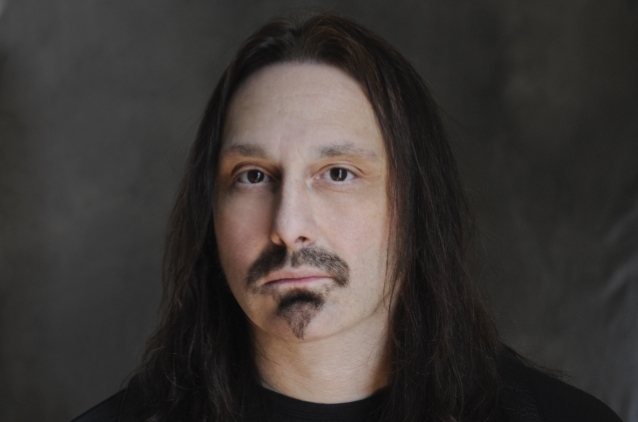 Best known as the bassist for progressive metal giants SYMPHONY X, Mike LePond stepped out on his own to front his own project, MIKE LEPOND’S SILENT ASSASSINS, in 2014. The follow-up to the band’s self-titled debut release, “Pawn And Prophecy” shows an onslaught of true heavy metal in its purest form. As an example of the range of metal styles here, the title track is a 21-minute opus based on William Shakespeare‘s “Macbeth”, where Mike and company have essentially written a heavy metal soundtrack to this classic tale and features guest appearances from SYMPHONY X bandmates Michael Romeo and Michael Pinella.